عندما تزور ألورو, ستشعر أنك في بيتك في فندق ديرزت جاردنز الذي يقدم لك إقامة متميزة و خدمات عظيمة. يمكن من هنا للضيوف الاستمتاع بسهولة الوصول إلى كل ما تقدمه هذه المدينة النابضة بالحياة. بالنسبة لمن يريد الخروج، هذه بعض المعالم السياحية المتوفرة للزوار نايت سكي شو, تر & انفورماسيون سنتر, ايرس روك ريسورت كامب­ جروند. يقدم فندق ديرزت جاردنز خدمات لا غبار عليها وكل أشكال اللياقة وحسن الضيافة اللازمة لإسعاد ضيوفه. يقدم الفندق فرصة للاستمتاع بشريحة واسعة من الخدمات بما فيها: مكتب الاستقبال على مدار الساعة, مرافق مخصصة لذوي الاحتياجات الخاصة, تسجيل وصول/خروج سريع, تخزين الأمتعة, واي فاي في المناطق العامة . استمتع بوسائل الراحة الراقية في الغرف أثناء إقامتك هنا. بعض الغرف تتضمن غرف لغير المدخنين, مكيف هواء, تدفئة, مكتب, ميني بار لمساعدتك على استعادة طاقتك بعد يوم طويل. يمكنك الاستمتاع بالأجواء المريحة التي تقدمها حمام سباحة خارجي, سبا, تدليك, ملعب تنس, حديقة طوال النهار. استمتع بخدمات لا يعلى عليها وعنوان ذو اعتبار في فندق ديرزت جاردنز . Great place to stay,super restaurants, Sounds of Silence dinner and Desert Awakening /breakfasr tour were just the icing on the cake. Toby who took our morning tour was simply a walking piece of knowledge and very friendly. Taught us so much about Uluru. Dinner at night also super. We would love to have had more time , a wonderful place all Aussies should visit. Booked the superior room which are underground. It was very spacious had a table and chairs plus a couch. Bathroom was very modern spacious and clean. They have a pool and are in a great location right in the centre of town. Did not eat at the restaurant as it was a bit pricey for our budget. I can't believe this hotel only gets a 7.4 rating. Previous reviewers must stay in some pretty darn nice hotels. We were in Australia for 4 weeks and this one was by far the best. We would definitely stay here again. Excellent stay at Desert Gardens. Easy access to Uluru and Kata Tjuta. The hotel is an EOE with friendly and cheerful staff. The salt water pool was a great way to relax after some long and sweaty walks and Bunya Bar is a nice deck to enjoy a beverage and a game of Scrabble. Fantastic. Even though the rock view rooms weren't available, the lovely staff got us a very nice room that we could still see the rock. Which is awesome! Very impressed with how helpful and friendly staffs are. A bit disappointed with the housekeepers that they didn't clean the room properly e.g. Didn't change the sheets or pillow cases even we had asked directly. Other than that it's an amazing experience. We love this magical oasis place and would love to go back again. Desert Gardens had a wonderful restaurant and beautiful grounds, however the fact that the Voyages company has a monopoly on everything there mean that service is lacking in a lot of areas as well as being very pricey. we have spent a nice days in ayers rock. the hotel is so nice and you can find everything that you can need. including activities and all kind of facilies. we had really nice dinner at the gecko caffe. On second level which made it difficult with luggage as there is only stairs. Cost of living is very expensive and would opt for a self contained apartment next time. Living area modern and comfortable and looks newly renovated but the bathroom needed attention. Mould in shower recess. A go green option is offered each day and a $10 voucher is given if room not serviced. Staff all over complex are extremely friendly. We stayed two separate nights here, bookending a three day trip to Uluru and Kings Canyon. There is no doubt that the Desert Gardens is a very pleasant experience overall, but we had lots of little niggles, too many to mention. For example, on our second night, we were “upgraded” to a room where the bathroom towel rail fell off immediately we touched a towel. When we reported this on departure, we were thanked for bringing it to their attention. In a hotel where housekeeping assumes greater importance than most, why had it not been previously reported? The verandah areas needed serious attention. Otherwise everything else was fantastic and the staff were brilliant. Unfortunately the hotel made no effort at all to give us a room earlier although we arrived already at 11 am. We had to wait until 3 pm. What do you do 4 hours at 45 degree outside and 15 degree in the lobby? This was extremly uncomfortable, for this prize of the room we are used to more attention. We liked the pool and the possibility to skip housekeeping and get a food&drink voucher instead. The resort was much larger than we expected and there was a good range of eateries including a fantastic supermarket. Our room was by the pool which was lovely the only downside was that it was quite a hike from the car park. Pool area was lovely. We ate at the Bistro and had a very nice meal. 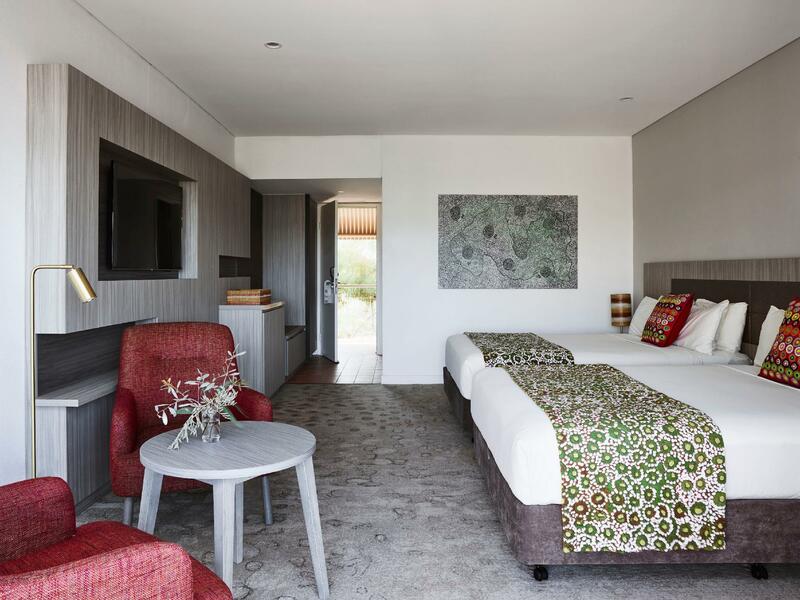 Desert Gardens Hotel provided the perfect headquarters for my partner and I to explore Uluru, Kata-Tjuta and Kings Canyon from. Each night we watched thunderstorms from our verandah and were in easy walking distance to the Town Centre and dining options ranging from quality economical to fine dining. We couldn't have made a better choice on accommodation during our stay. All staff were helpful and friendly to us throughout. We booked this hotel for the location - close to Uluru. Regrettably we spent far too little time actually in the hotel as we were there for just one night - it had all the facilities available that you could wish for. The room was clean and comfortable. Choice in the area is very limited due to the location and prices are inflated as a result ... but we paid so that we could stay in the area of choice. 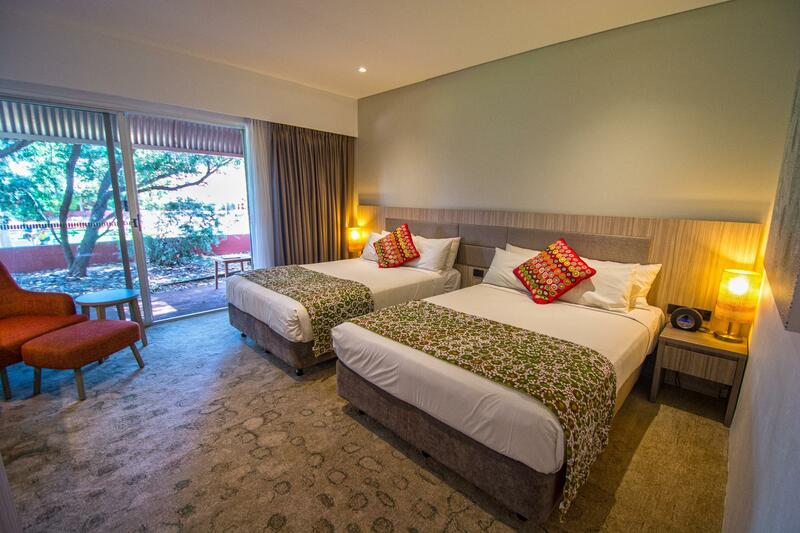 Ayers rock resort encompasses several hotels/apartment complex/camp ground, this hotel is the mid range option. The cost is not signigicantly higher than the hostel option but I chose it because it has sheets/bathroom/towels. The most expensive hotel is not much higher end than this one but the cost is upwards of double so don't bother staying there. 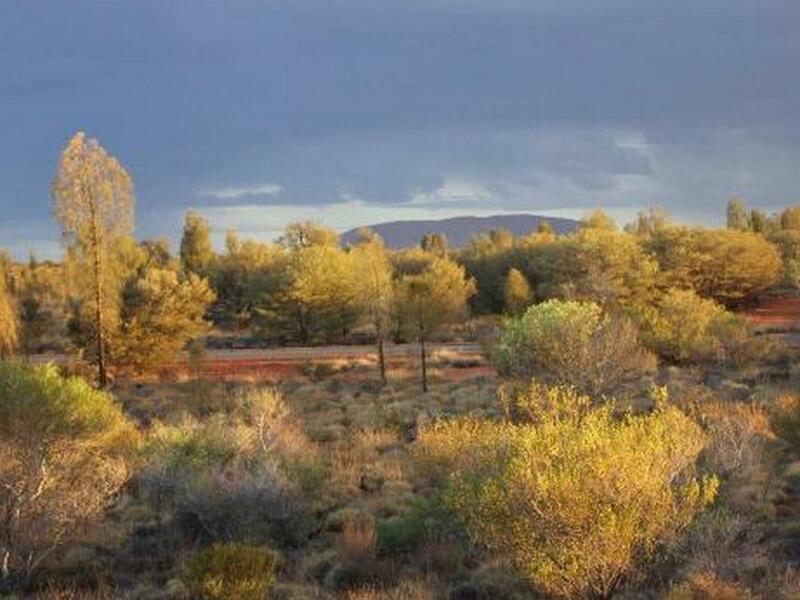 The location is good, about 30 km from Uluru & Kata Tjuta and a few km from the airport. Lots of parking for rented cars, I would suggest renting and driving to the spots you want to hike and see because the tours are way overpriced (this is if you are 2+ people). All the hotel staff were very nice and helpful, pool is open quite late (although it gets quite chilly when the sun goes down). Restaurants are good throughout the resort but there is a supermarket that isn't too pricey in the town square. I would suggest watching sunrise and sunset at Uluru and if you only have time for one hike go to the Valley of the Winds hike through Kata Tjuta. As an experienced hiker it only took me 2 hours and was not difficult. Also all the sunset/sunrise viewing areas are very well marked. Considering this is an area that trains people, the staff in all the restaurants/food outlets could do with another course in attending to customers needs. All very well trained in keeping their heads down, looking busy and avoiding eye contact. More interested in task orientation than actually checking if the customer is ok or would like anything else. 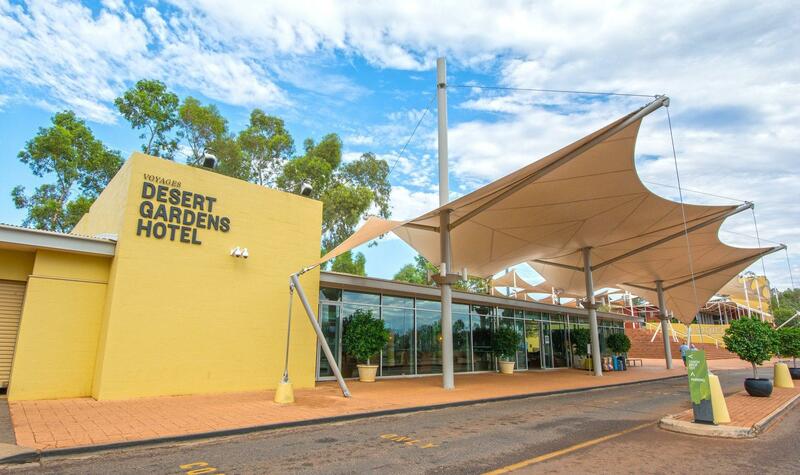 Desert Gardens is a good place to stay when you are touring the Outback. The hotel is modern, rooms are clean with nice amenities, and having a pool is good. You are in walking distance to the town center, where there are cafes, shops and other entertainment. You have to pay for Wifi, and it was down most of the time we were there. I am getting used to hotels offering that for free, so perhaps DG should consider that. The restaurants were being remodeled when we were there. It will be even better when they reopen.